Lea Diele is a 26-year travel industry veteran who started out as a corporate travel agent. Now, Lea currently develops and manages the Independent Contractor Programs for Travel Leaders Network. It is here that she developed a program specifically designed for current Host Agencies that are committed to working with an elite peer-group toward greater growth and profitability, as well as talent acquisition and IC recruitment. In addition to her role with Travel Leaders Network, Lea works closely with Universities and Colleges that offer certifications and degrees in Travel and Hospitality Management. 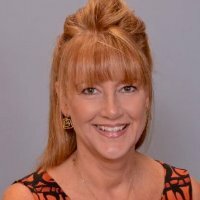 She is a Certified Travel Associate, Certified Adventure Travel Specialist, and a Certified Travel Industry Executive. Based in Arvada, Colorado, Lea enjoys her time with her family and finds solace at their mountain cabin on the weekends. Travel Research Online (TRO): You got your start in the industry as a corporate travel agent, where you later progressed into corporate account management. What motivated you to want to work in the travel industry? Lea Diele (LD): I am a person who loves to learn new things all the time. To take something to the next level is exciting to me. The travel industry is one that has many opportunities and challenges, as we know. It keeps things fresh and exciting. You get to meet incredible people, and I have had some of the very best mentors like Hans Campestrini and Brenda Rivers during my career that helped mold me along the way. I feel strongly about working hard and learning new things, which has offered me a path to always keep gaining ground – cultivating ideas, showcasing opportunities that will ultimately help people. My goal is to assist people to thrive in this industry– the reward comes in their growth and successes. My earliest recollection of travel came from my mother. This goes back into my early years when my mother ran a day care center in our Colorado home. Once a week, in the afternoon right after nap time, we would play “airplane.” My mother would set up chairs in our living room, in rows. We each got a little lunch box of water and marshmallows. We would have these fantastic imaginary journeys to great cities in the United States. She would prep us in the morning as to our flight plan and city we were going to. She would cut out articles that she would read to us, show pictures of the city of where we were flying to that day. I just remember everyone loving “airplane” day. I took many imaginary flights to Chicago and New York. It was exciting as I recall. I couldn’t have been more than 3 or 4 years old at the time. My Mom would have made a great travel advisor. TRO: You were vital in negotiating hotel rates, air programs, and preferred car rental providers while simultaneously managing corporate account monthly spending and reporting. Is there anything you learned from your experience doing so many different things that has helped you in your current position of Senior Manager of Independent Contractor Programs for Travel Leaders Network? LD: I think learning this industry in two of the major travel components of corporate and leisure, has lended many cross verticals of similarities which help me today in my position as Sr. Manager, Independent Contractor Programs with Travel Leaders. Negotiation, forecasting, profit and loss, advancements in technology, and the sheer people focus are strong forces that work together in both corporate and leisure travel and managing those programs. My position with Travel Leaders lets me get behind agency owners, offer additional insight and tools that assist them in their programs. Having a true partner that is vested in their success is my driving force within Travel Leaders today. The collaboration and the business owners in this network are as good as they come. TRO: What do your day to day responsibilities as Senior Manager of the Independent Contractor Programs look like? Is there a lot of traveling involved? Are your duties consistent or varied depending on the week? LD: Today, I am focused on our Independent Contractor Talent Recruitment efforts and in our peer-to-peer Host Agency program. I work side-by-side with our agency owners, so I am out in their offices working with their managers to help them become even more efficient and profitable, while encouraging our members to know their Independent Contractors so each IC can reach their goals and be strong business owners. Because each agency has a different model, I customize the approach based on their company culture, tools they utilize, and given my corporate and leisure background can assist them in a multi-faceted approach, so each interaction is different and the needs vary so it keeps me busy. TRO: In 2000 you made the switch to leisure travel and focused in Host Agency Management, where you excelled over a span of 17 years in assisting independent contractors grow their businesses. How was shifting from working on corporate accounts to working with smaller businesses and independent workers? How did your previous background aid you in the transition? LD: Yes, I had a sizeable learning curve moving from corporate to leisure travel. For me, it was new suppliers, new products, and new ways to make money, as well as learning the IC modeling. I have to credit Hans Campestrini for taking a chance on me back then and showing me the ropes of working with ICs, how support staff is critical in your success and profit margins are strong with a solid program. TRO: You designed a program to elevate Travel Leaders Host Agencies to the next level. Can you tell us more about this program, and how it came to be? LD: Travel Leaders continues to focus on the growth and profitability of our member agencies. In 2013, a survey was conducted. From that data, Travel Leaders learned that there were members that had independent contractor programs-some very large programs of ICs. Since this was an existing business model for members and one that continues to grow, Travel Leaders created an IC Center of Excellence (to mirror its other successful ones, such as the Business Travel Center of Excellence) to support members in this field. Our focus has been designed for current Host Agencies that are committed to working with an elite peer-group toward greater growth, profitability and higher operational excellence to succeed in hosting today. TRO: You have garnered the titles of Certified Travel Associate (CTA), Certified Adventure Travel Specialist, and Certified Travel Industry Executive (CTIE) thru The Travel Institute. Can you give us some more insight to that process, and what these certifications entail? LD: The Travel Institute certifications is a commitment to your profession. By taking the extra steps, time and putting it towards your career shows those who you support that you are committed, and you have an expectation of yourself to be the very best you can be in your field. Less than 1% of the owners and managers in our industry today have CTIE. I wanted to be at that professional level and worked hard to obtain my CTIE through course work, the 3 hour timed test and required white paper in order to pass. Not everyone can say they are CTIE so that stands out. TRO: On top of working with The Travel Institute, you work closely with Universities and Colleges that offer certifications and/or degrees in Travel & Hospitality Management with an emphasis on talent recruitment. What about the education sector of travel appealed to you? How did you get into it? LD: It goes back to wanting to genuinely help people. It’s who I am and part of my character, I guess. Teaching is a means to help others. I love researching new topics or technology, and seeing that knowledge be put to use by those I support. I like to find creative ways to make it fun and ultimately stick. I like taking what I have learned over the past 26 years and help others who are just starting out. It is my way of giving back, as I know I had great people help me when I first got started. TRO: Of all the destinations you have visited, do you have a favorite place to return to? If so, where? Do you have a destination you have always wanted to visit, but haven’t made it to yet? LD: India is one of my all-time favorites. I had a great agency owner in 2008, Brenda Rivers, who approached me about going on an educational trip. I am sure glad I went. It fascinated me about the culture, varied religions, and the people. The desire to give back by the Indian people made a lasting impression on me and I connected with that. Namaste’. Since I love photography, my next big destination is to visit the Galapagos. I can’t wait to have that chance for up close picture of wildlife like that in their own habitat. TRO: What can we expect to see this year from Travel Leaders? LD: Travel Leaders has incredible people who have vision, and are taking their forward-thinking pursuits and putting them into motion for the progression of our industry. Their efforts in making this a viable career choice for those who choose to enter into it – to assisting our members with lead generation that is allowing travel agents within the Travel Leaders Network cultivate books of business and grow. The coming years focus will be on optimizing the support programs we offer our Host agencies, and the benefits we deliver to their ICs. For example, through surveys and meetings we know priorities are on managed growth; sourcing good new clients, recruiting the right ICs and providing continuing education for existing salespeople so everyone can sell and earn more. Travel Leaders continues to increase the number of leads we provide to agents – now distributing well over 100,000 leads to the network each year. I’ve just relaunched our IC Recruitment website, TravelLeadersHosts.com, and developed an entirely new program, Host Agency+, to partner with our most experienced host agencies to take their business to the next level. And finally, agent education will be front-and-center as we’ll add an advanced level sales process class, expand the Luxury, Adventure and Honeymoon Specialist program lineup, and create a lot more opportunity for good sellers of travel to experience destinations and products first-hand. There’s a lot going on, so it’s an exciting time!